Provision of Aadhaar number for every citizen of the country has been touted as the biggest exercise of its kind in the world. There has never been an exercise of this magnitude and scale ever undertaken by any country. Imagine the kind of effort that it would call for in order to provide aadhaar number to a population of 1.25 billion people. Just the very thought makes my mind go berserk. There has been plenty of noise, both for and against the exercise on the home turf. People who stand to lose or inconvenienced by its advent have taken up arms against it while those who stand to gain or are supportive of the noble intentions have espoused it. 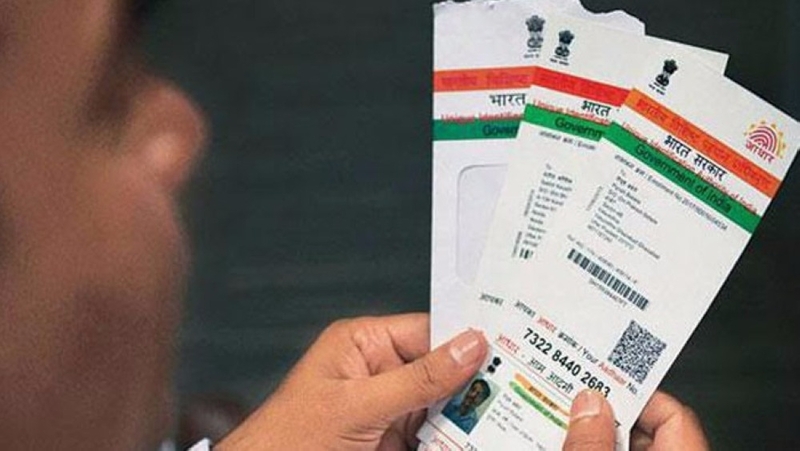 The fight for and against aadhaar has taken a political hue with the BJP being in power supporting it wholeheartedly while the congress is hell bent on finding flaws and ultimately derailing it by playing the ‘right to privacy’ card. Remember, that the Supreme Court has made the right to privacy a constitutional right. Nonetheless to be fair to each side, we will talk about its advantages as well as objections / reservations. There has been a collateral advantage of formulating the aadhaar system, albeit unintentionally. The most expedient thing that could happen to anonymous set of people of the country is recognizing them as individuals like any other by providing them with an identity of their own called the Aadhaar number. Until now, these people were non-existent and invisible, thus outside any organized system of sorts in the country, the organized system of public distribution by way of a ration card, the right to own and drive a vehicle with the provision of a driving license, right to hold an Indian pass port to travel outside the country, the right to choose a representative in every election under an election ID among many others. No one bothered about these homeless, destitute and politically inconsequential people. Worst still, was the fact that even the governments did not recognize they existed, hence no scheme of the government delivered them any benefits for want of identity. They were on their own and resigned to their fate. It did not happen for a single good reason, the government knew they did not constitute a consequential electoral constituency and hence no efforts were expended to give them their due and alleviate their plight. The fact was that they did not comprise vehement and a vocal social group worth any votes like the powerful castes like jats, patidhars, yadavs etc. therefore governments never worked to provide relief to them. Successive governments turned a blind eye towards them and remained insensitive to their needs. The government never truly provided any care to these people. Now every person will have an identity called aadhaar and more importantly every individual stands equal in this provision. Secondly, the government claims that with the provision of aadhaar, corruption will be dealt a deadly blow. All of us can vouch that India’s past and present has been deeply mired in corruption and have felt its deadly consequence some or the other time. Corruption is the major problem and a serious cause of concern because of which our country loses huge amount of money that could be beneficially deployed for the welfare of common man. For example, the food grains under the PDS meant for the poor were diverted to make private profit. 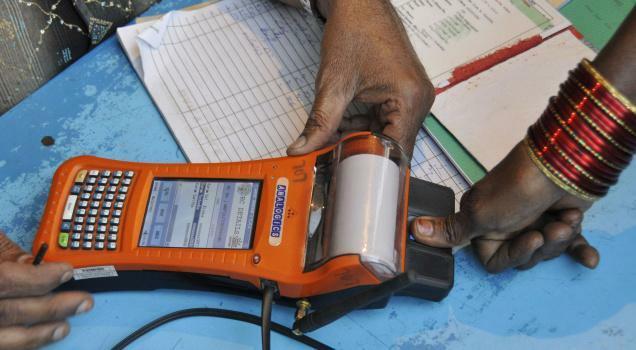 This would stop as the beneficiaries would have to necessarily use the biometric authentication for receipt of grains. We had heard about some ghost or nonexistent employees of the MCD receiving salaries for years before the biometric attendance system was put to effect. This is the power of using aadhaar number which is fortified with biometric details of its owner. Thirdly, we had heard of a newspaper report in which some missing children could be repatriated with their parents just because they had their aadhaar numbers generated. This is a very good news and demonstrates the power of aadhaar at solving some of the most gruesome and intractable problems of yesteryears. Now for some reservations to Aadhaar. Those who are raising their voice against aadhaar, are worried that their cover in the form of anonymity will be blown over. Everything they do or transact will be open to public scrutiny, nothing will remain private anymore. These people have lived all their lives in the glory of being hidden by conducting their operations or business clandestinely, affording all the luxuries and still remaining away from scrutiny and enforcement agencies. According to media reports, some people have been denied ration under the food security law for want of their aadhaar numbers. Worst still, that some have perished as food gains were not released in time. This is an unfortunate event but nevertheless true. This shows how apathetic the service administrators can get and how they can derail even a good service that aadhaar is. The guilty should be dealt with sternly and a punitive action be taken against them. How could the service provider not judge the genuineness and state of deprivation of a distraught family? Why did he choose to deny the essential food items? Another incident reported by the media is of a person who was denied his monthly pension for want of his aadhaar number. The government has clarified that this was a drastic misconduct on part of the service provider and the person should not have been denied the pension. 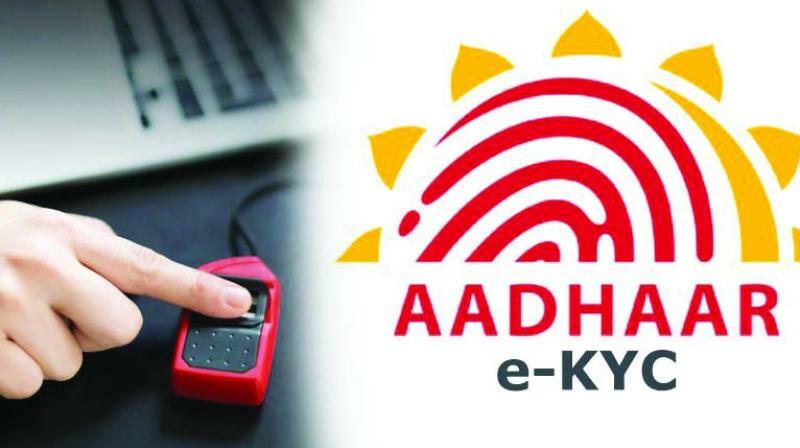 The service provider could have exercised his discretion while disbursing the pension while simultaneously stressing the need to submit the aadhaar number the next time. The biggest challenge to the provision of aadhaar is its unintended contravention to the fundamental right to privacy. 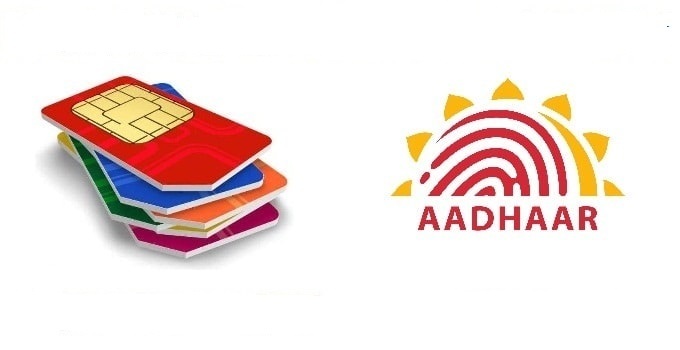 We have heard much noise around breach and leak of the aadhaar database in the last few months, that personal as well as utmost personal data like finger prints and retina structure. Should there be an incidence of breach or hacking of the central database, the citizens run the risk of unwarranted exposure and undesirable repercussions. This assumes even bigger proportion as the government bodies are afflicted with petty corruption at low levels, as the custodians of the database might turn corrupt and sell the database for small pecuniary gains. We are all too aware of the database of mobile numbers doing the rounds and we getting unsolicited tele-calls from myriad service providers. We feel that routing government subsidy through bank accounts and linking them with aadhaar is a progressive step in the right direction to end organized loot or corruption. If aadhaar based subsidy stands to reign in corruption and benefit common people then there is no way extending it to plethora of other public and private services would be inimical to either the people or the country.